Carefully scrape the tea cake to loosen the leaves. Mao cha can be stored and aged after it is made, or it can be a new blend that is comprised of aged mao cha from different years. It is found in a variety of leaf sizes, too, depending on the location of the tea trees and on the type of local cultivars (size of the leaf) the mao cha was made from. Mao cha is a great example of the effects of terroir. As you can see, the possibilities and resulting flavors of mao cha are almost endless. All of these variables result in a staggering choice of available mao cha from all of the tea producing regions for Pu-erh producers to work with. This is a very delicious, slightly-larger-than-usual mini shou beeng cha that is made from leaf materials gathered from the Menghai tea area. Two different grades and vintages of sun-dried small leaf – 2006 (5th-grade leaf) and 2008 (gong ting leaf, the highest grade and smallest size leaf) were especially selected and blended together to create a shou Pu-erh that features balanced taste and rich, full body. 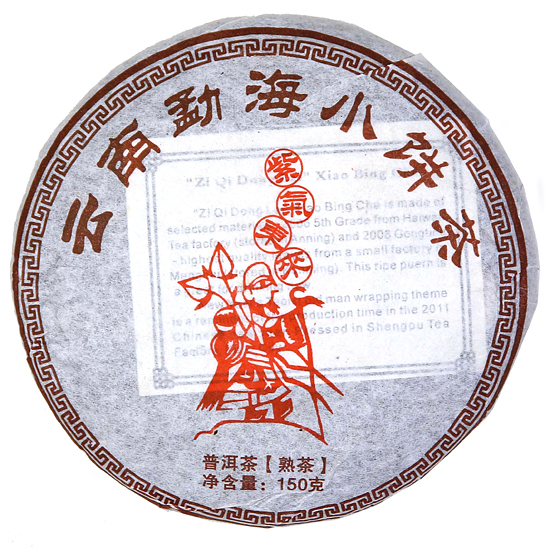 This little tea cake is ready to drink now – it has a creamy taste with slight overtones of chocolate and it has none of the over-wrought wo dui aroma and taste from the processing that plague many shou Pu-erh. The texture is very silky in the mouth, and the tea liquor is quite mature tasting for such a young cake. 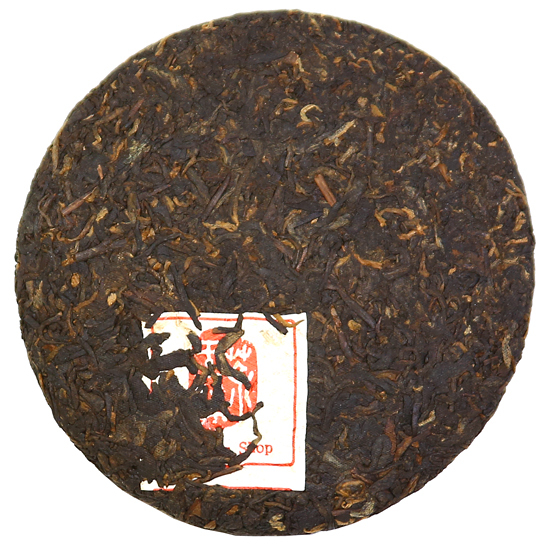 This is one of the nicest mini Shou Pu-erh in our lineup.